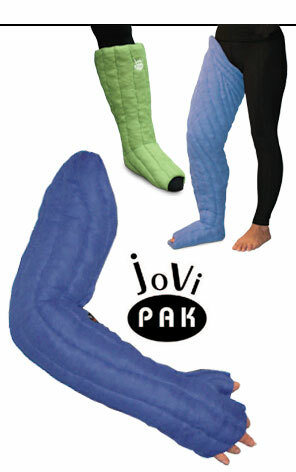 We’re very excited about our newest provider of lymphedema products, JoviPak. JoviPak’s ready-made and custom products help in the management of acute and chronic edemas. They offer sleeves, boots and other garments in a variety of fabrics. Our custom fitter will help you find the product that is right for you, and make sure it fits your individual needs. For more information about JoviPak, visit their web site, or give us a call at our South store. 314.892.7000.